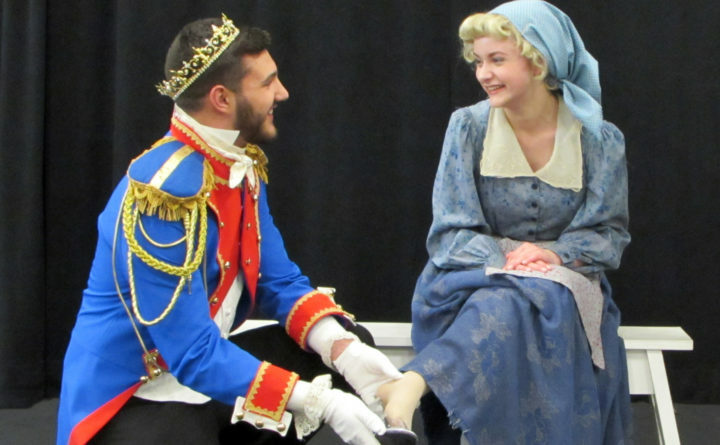 Elliot Nagler and Madelyn Rancourt in the Maine State Music Theatre's 2018 production of "Cinderella." Maine State Music Theatre will again offer sensory-friendly performances for children this summer. Fifty-minute musical performances of “Snow White” and “The Little Mermaid” were created by Marc Robin and MSMT Artistic Director Curt Dale Clark, with funding from the Anna-Maria Moggio Foundation, Androscoggin Bank’s Greater Giving Program and The Onion Foundation. The performances will be held at the MSMT’s rehearsal studio at 22 Elm St., Brunswick. “Snow White” will be presented at 2 p.m. May 18, and “The Little Mermaid” at 1 p.m. Aug. 17. The rehearsal performances are designed for families with children with autism or other disabilities that create sensory sensitivities, according to a release from MSMT. “The project, now in its third year, gives the theatre the opportunity to demonstrate further its commitment to be an inclusive, supportive community providing theatrical experience for all patrons,” organizers said in a release. There is no admission fee for these events, but reserved seating is required. Seating is limited. Call 207-725-8769 to reserve seats or visit www.msmt.org for more information.